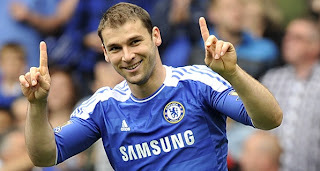 Chelsea defender Branislav Ivanovic, who is fast becoming as invaluable to the team as John Terry, has commented on how steady the back line has been in pre-season. The 27-year-old, whose league appearances have been increasing year on year since joining the club in January 2008, is pleased with the start the Blues have made in the run-up to the new season. Andre Villas-Boas’ team have kept a clean sheet in all five of their pre-season clashes, firstly against Wycombe and Portsmouth, and then the three Asian teams during the tour, including today's meeting with Kitchee. “It is important in these kind of games to see things developing,” the Serbian international said. “It is very important to keep going with a good defensive line but at the same time we are looking for good play as well, and I think it is going to be fine for the start of the season. It is good that everyone is working hard.” Chelsea’s goal tally has also started to improve, and after two understated 1-0 wins, Ivanovic strove forward to thump in the second in a 4-0 rout against the Thailand All Stars before a repeat result this afternoon.